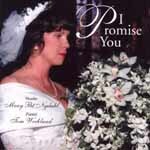 The vocal stylings of Mary Pat Nydahl have been touching and healing hearts for more than 20 years. Her songs and music bring joy, love, and inspiration to all. Mary Pat received her vocal training and degree from the University of Wisconsin, Eau Claire. She currently serves as a cantor at Mary, Mother of the Church in Burnsville, St. John's Lutheran Church in Lakeville, and Immaculate Heart of Mary Church in St. Paul. She is also a Contemporary Music Worship Team Member at Wooddale Church in Eden Prairie. Beyond her love of music, she shares her passions of love and learning with elementary children in the Chaska School District! 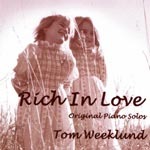 Tom Weeklund is a pianist extraordinaire! His music touches the heart and soul. 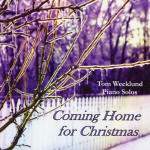 Tom has been a professional musician and composer who has performed at various venues around the Twin Cities area. Throughout the past 38 years, he has been a leading instructor of piano, keyboard, and organ. He has been the primary accompanist at Mary, Mother of the Church in Burnsville since 1990. Music sets the atmosphere for the most important day of your life; Tom and May Pat will provide beautiful music that is both meaningful and joyous, and will make your wedding an occasion to remember for a lifetime. They are also available to perform at the groom's dinner and reception. Let their music surround your guests with the same love you are experiencing on this important day. 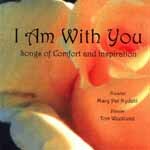 Through their music, Tom and Mary Pat offer inspiration and comfort to those suffering an illness or grieving the loss of a loved one. Their music is full of love, hope, and comfort! It builds a bridge between life and loss, and helps us to see that those we have lost are not really so far from our heart. They can also be contracted on an individual basis. Decidio: Weddings and wedding vendors! Register your dream honeymoon online - just like gift registry! Get a free wedding webpage & blog! Absolutely FREE! Click on the "extras tab"
Click on the "honeymoon registry"
CD / DVD with every package - copyright free! Prices range from $999 - $2099. Say you heard from Mary Pat & receive a $99 discount! For information about our services please contact info@musicministryplus.com. Please contact webmaster@musicministryplus.com with any questions or comments regarding this site.